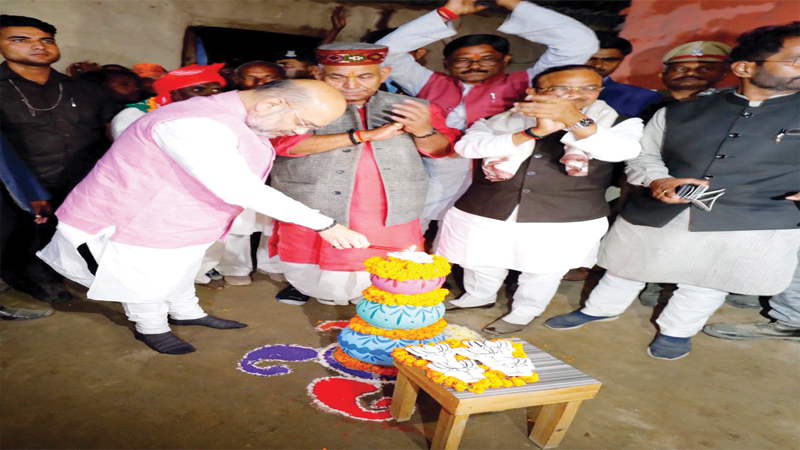 As part of the BJP’s drive to mobilize voters ahead of the crucial 2019 Lok Sabha elections and repeat a 2014 like performance, BJP National President Shri Amit Shah crossed the Gomati River on a boat to reach Gaurhat Ghat in Ghazipur district in Uttar Pradesh on February 26 to launch BJP’s nationwide Kamal Jyoti Sankalp Abhiyan. Though the aim was to launch the party’s Lok Sabha campaign, residents of Tetarpur and adjoining villages wanted to celebrate the IAF air strikes on JeM terror camps. Shri Amit Shah asserted that the families of the CRPF martyrs must be feeling relieved and the entire country was celebrating Diwali now. Shri Shah reached the newly-electrified Tatarpur village in Ghazipur district in eastern Uttar Pradesh by boat from where he launched the Abhiyan in the evening. 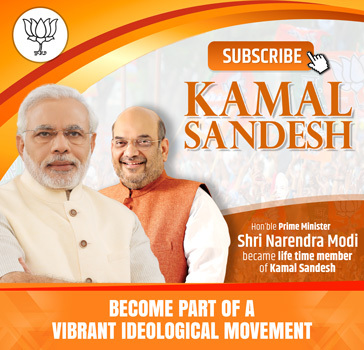 As part of Kamal Jyoti Abhiyan, party workers will light lamps in the shape of Kamal (lotus) – the BJP’s election symbol – at the houses of the benefiters of the central government schemes and take the pledge to bring back the Modi government in the 2019 elections. There are estimated to be 22 crore beneficiaries of the Modi government schemes, including the Mudra Yojna, the Ujjwala project, opening of Jan Dhan accounts and the Swachh Bharat project, across the country, and every party worker has been assigned at least 10 such persons. Out of the 22 crore beneficiaries, Uttar Pradesh houses a whopping 3 crore beneficiaries. BJP office bearers, elected members of the party – including MPs, MLAs, representatives in local bodies – besides workers, will travel to different locations of the country as part of the Kamal Jyoti Sankalp Abhiyan. “The Kamal Jyoti symbolises the progress and prosperity brought into the lives of the beneficiaries due to the holistic and inclusive policy of the Modi government,” said Shri Shah on the occassion. Shri Amit Shah said the BJP has done everything for the welfare of the people of Uttar Pradesh. In the 2014 Lok Sabha elections, the party had won 71 seats of its own and along with its NDA allies it won 73. Out of the 22 crore scheme beneficiaries, UP houses 3 crore beneficiaries therefore with additions of more seats in BJP’s account, 2019 Lok Sabha elections will be a repetition of 2014 election, he added.